Have you ever thought about getting dermal fillers to enhance your look? Dermal fillers and injectables are popular, minimally-invasive facial rejuvenation treatments for men and women who want to eradicate lines and wrinkles, or plump up sunken cheeks. Dr. Will offers patients the option of fat grafting, which involves transferring fat cells from stubborn deposits around your body (like the hips or abdomen) to the face. 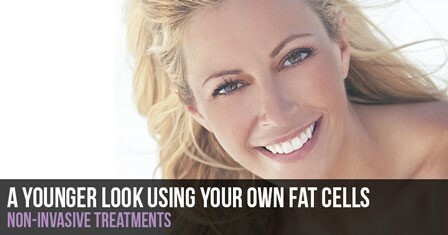 Since the treatment uses your own body fat, the cells readily absorb into the tissue and create a very natural look. We lose fat in our face as we age and this can end up creating a gaunt look or sagging skin. One way to restore a more youthful facial appearance is by injecting the tissues with dermal fillers. Fillers made with your own fat cells — instead of collagen or synthetic materials — can be used to smooth out wrinkles and also augment hollow or sunken areas of the face to create a rounder, more youthful appearance. If you have deep grooves, lines, or furrows, a fat grafting procedure can be very effective for smoothing out and plumping up the skin. The facial fat transfer in Maryland can correct many of the signs of aging and effectively turn back the clock! If you feel that deep lines, furrows, and grooves are adding years to your appearance, talk to Dr. Will about the fat transfer procedure. Not only can this treatment reverse the effects of fat loss in the face, but it can also create very natural-looking results. Facials and chemical peels can only do so much to minimize the appearance of wrinkles. A facial fat transfer in Maryland could be just what you need to enhance your look and reverse some of the signs of aging. If you have been thinking about dermal fillers, but aren’t sure which filler is right for you, schedule a consultation with Dr. Will today! Dr. Will can determine whether you are a good candidate for a facial fat transfer in Maryland or other facial rejuvenation treatments.